It is replaced by the Elo Entuitive 1247L. 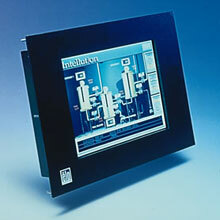 The Entuitive 1266L is designed specifically for industrial applications and features a choice of touch technologies. 12" IntelliTouch (surface wave), with serial interface, black. 12" IntelliTouch (surface wave), with USB interface, black. 12" AccuTouch (resistive), with serial interface, black. 12" AccuTouch (resistive), with USB interface, black.